Such a busy weekend this week, what with Mother’s Day and the Kentucky Derby. The Derby has forever been on this mother’s Bucket List and sadly it will remain there as I have no plans to attend tomorrow’s race. I wanna do it right though. I wanna wear the hat and sit in the grandstand. I wanna bet on a long shot and drink mint juleps. Not this year, but it’s still fun to think about and fun to write about and what a great Mother’s Day gift it would be! Hint, hint. Known as “the most exciting two minutes in sports, the Kentucky Derby is America’s oldest continuous sporting event and an annual odds on favorite to be a winner. Held each May at Churchill Downs in Louisville, it is all things southern and all things spectacular. It’s also packed full of rich customs and traditions, including the mint julep, amazing hats, and the singing of “My Old Kentucky Home. In short, it is a true American icon that dates back to 1875. Its story commenced in 1872 when Meriwether Lewis Clark, the grandson of William Clark of the famed Lewis and Clark, visited England and its Epsom Derby. He also fraternized with those of the prestigious French Jockey Club, which developed the Grand Prix de Paris Longchamps horse race. BTW, that’s why Longchamp bags have a horse insignia. Giddy up, more fashion! Upon returning to the U.S., Clark made it his goal to develop a stateside race of equal grandeur and organized the Louisville Jockey Club, which to this day maintains “The American Stud Book.” The registry keeps the official tab on not Hollywood hotties but every single Thoroughbred born in the U.S.
On May 17, 1875 the LJC sponsored the very first Kentucky Derby. Aristides won that first race in front of 10,000 spectators. Today more than 160,000 fans will watch the annual “Run for the Roses” live in front of the famed Twin Spires of Churchill Downs. Why a “derby” though, Well, the term “derby” refers to any horse race restricted to three-year-old horses, either fillies (females) or colts (males). Only Thoroughbreds race in the Kentucky Derby. These are esteemed horses whose lineage traces back to three stallions: the Darley Arabian, Byerly Turk, and Gondolphin Arabian. And what about those odd names? As I mentioned above, they are all registered by the Jockey Club and their names can be no longer than 18 characters. Another interesting tidbit is that no matter when a Thoroughbred is born, its birthday is officially January 1, supposedly making it easier to track their pedigrees. Yes sports fans, this is serious business. Okay that’s all well and good for those who actually care about the horses, but what about the other “H” word of the Derby: hats?! Taking in all the various styles and varieties of hats worn by women attendees is of course half the fun. It’s not just a fashion thing either. Wearing a hat to Churchill Downs is said to bring good luck. I’m down! Both men and women wear hats to the Derby and what type depends on your personal style and where you plan to spend the day. 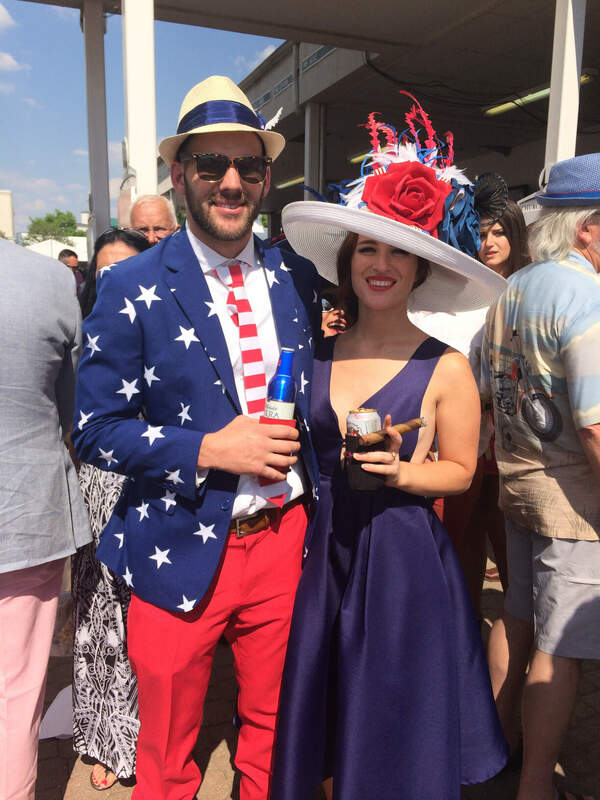 Within the seated areas of Churchill Downs, hats are generally elegant and wide-brimmed but in the Infield, anything goes and they trend more eccentric and outrageous. 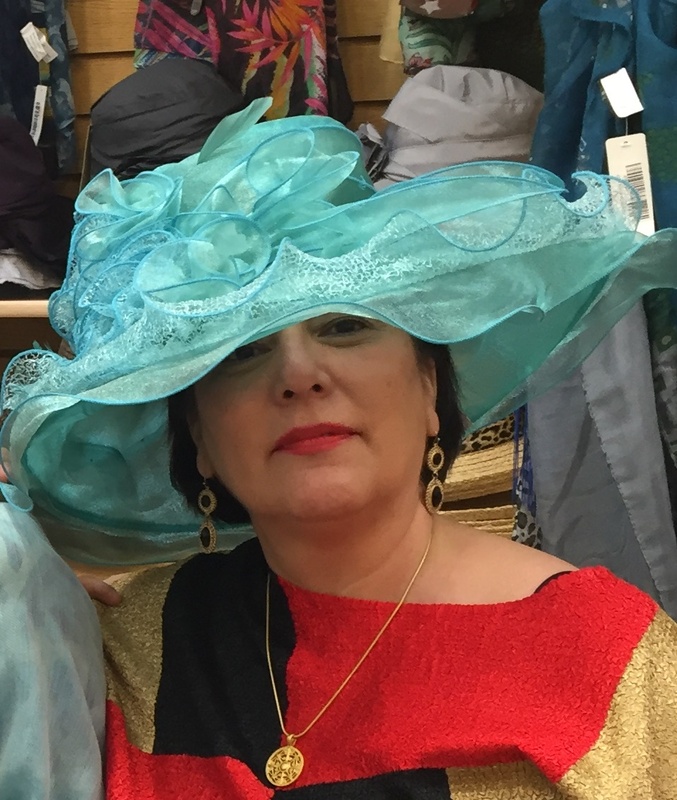 Still, there are really no rules or limits when it comes to choosing a Derby headpiece. But, keep in mind it is also the chance to express your Southern charm or convey your inner Southern Belle, so keep it tasteful ladies. Clothing-wise, most women wear simple spring dresses so as not to compete with the real star of their outfit: the hat. Since the hat should be the focus of your outfit, there’s also no need for large, statement jewelry. Thing pearls, not bling. And be sure to pack flats as you will be walking a lot! Men also don hats at the Derby, albeit somewhat more subtle and traditional ones. Where men go a little crazy is in their attire. 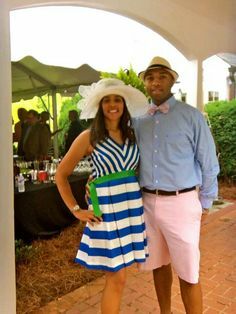 A Derby man is not above wearing pastel-colored pants, tropical colors, busy plaids, bold stripes, fun gingham, and all-things seersucker. On the more traditional side, you’ll see many classic navy blazer, chalk stripe, bowties, and monograms. On foot, it’s all about the loafer…worn sockless. Hats can be tough to choose though, so just what kind is a safe bet (excuse the pun!)? The wide brim is an iconic Derby topper that invokes both class and drama and think color, floral accents, and individuality. Fascinators have become a more recent trend, thanks partly to Kate Middleton. The fetching headpieces are smaller and easier to wear but just as chic as their bigger cousins. For men, a fabulous French Fedora is a sure winner, as is a Boater or Skimmer, which tycoon John Jacob Astor IV favored. No ball caps or flat rims please. I’m looking at you sports fans. Now that you’re dressed to the nines, it’s time for a Mint Julep or splash of bourbon. No Kentucky Derby is complete without its signature cocktail, which has been the traditional beverage of Churchill Downs and the Kentucky Derby for nearly a century. 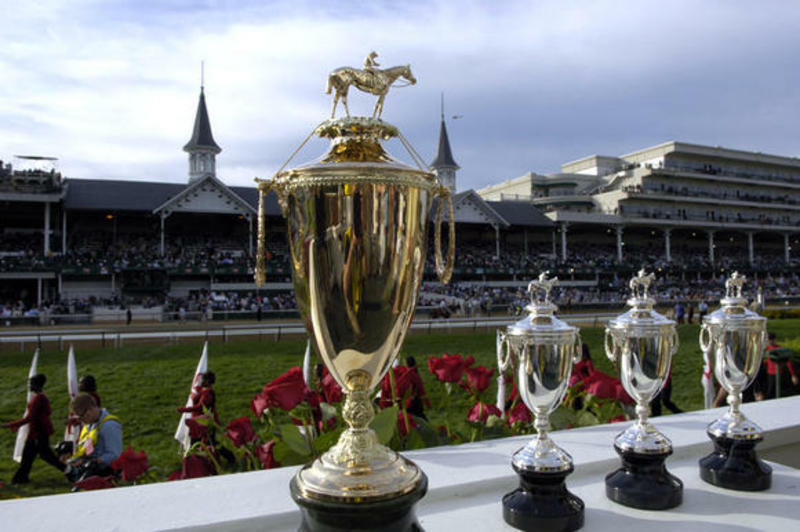 In fact, more than 120,000 of them are served at Churchill Downs during Derby weekend each year…most of them in an heirloom silver cup or souvenir glass. 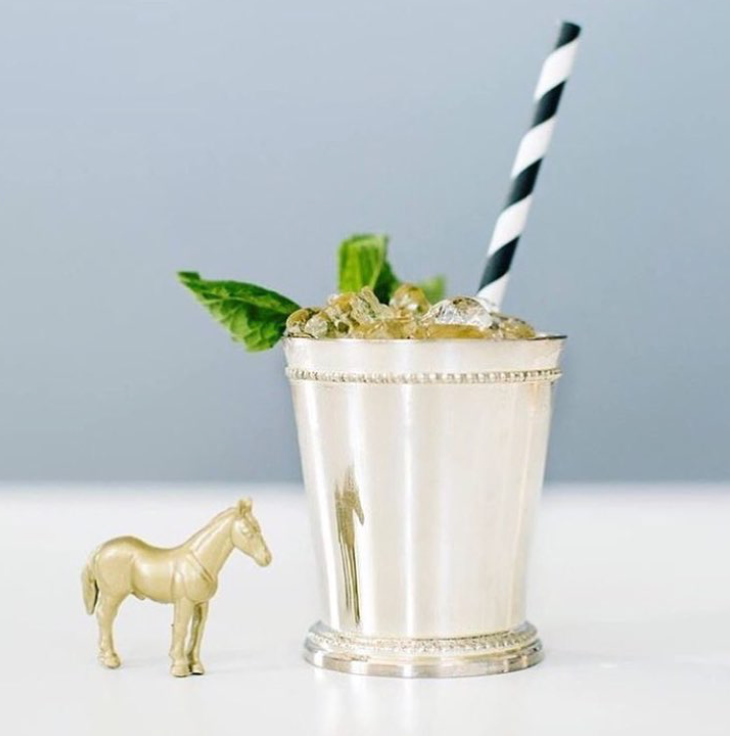 The origins of the mint julep are a bit murky, but it is known that Kentucky Senator Henry Clay introduced the drink to his Washington, D.C. colleagues at the famous Willard Hotel back in the 1800s. In yet another twist, it’s thought that the straw was invented thanks to the Mint Julep because such huge sprays of mint were served at the tops of the drinks that you couldn’t really drink one. The straw fixed that! According to the Derby museum, the yummy sweet cocktail became Churchill Down’s signature drink in 1938 when they sold for 75 cents. Today that wouldn’t buy you a mint sprig that comes in one. Why “julep?” Historians trace the word back to an Arabic drink called a “julab,” which was made with water and rose petals. Mediterranean drinkers replaced the rose petals with mint and used the cocktail to alleviate stomach problems. Although today a julep is considered a solid southern bourbon institution, amazingly the first mint juleps were made with rye whiskey or rum, not bourbon. Well I do declare! Speaking of roses, they will be regally on display in the stands and on the track at Churchill Downs. 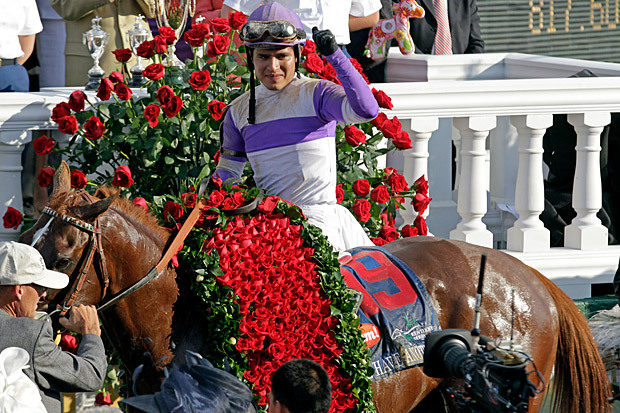 Each losing participant in the Derby gives a fresh bouquet to the winner who will also be draped in a satin garland of more than 400 red “Freedom Roses” and will receive 60 long-stemmed roses wrapped in 10 yards of ribbon. “The Run for the Roses” is indeed just that. Roses and the Derby go way back. At one time, all women attending the swanky Louisville Derby Party were given a fragrant bloom, which became the official flower of the Kentucky Derby in 1904. But back to the sports angle, which after all, is what the Kentucky Derby really is. 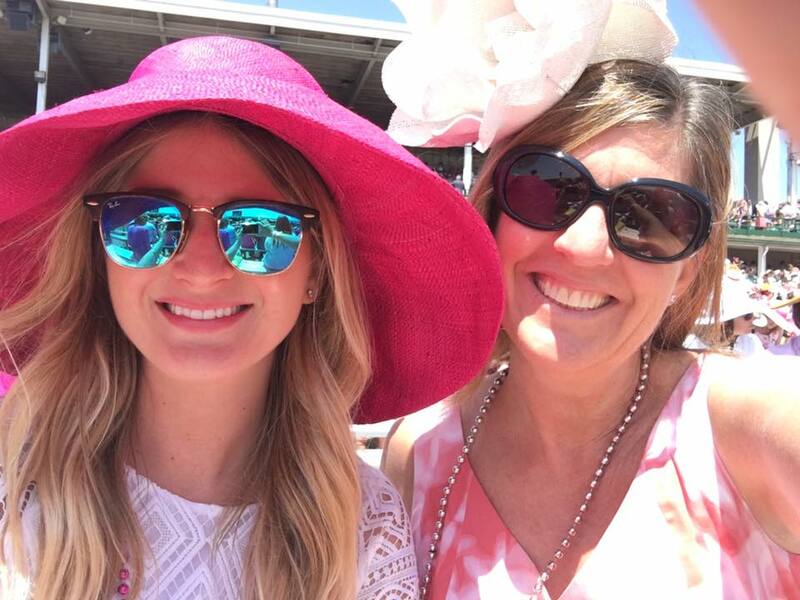 It’s not the “most exciting two minutes of fashion,” although it probably could be the “most exciting two days of hat fashion!” It’s a sporting event that has morphed into a social affair. You know because….it’s fun! 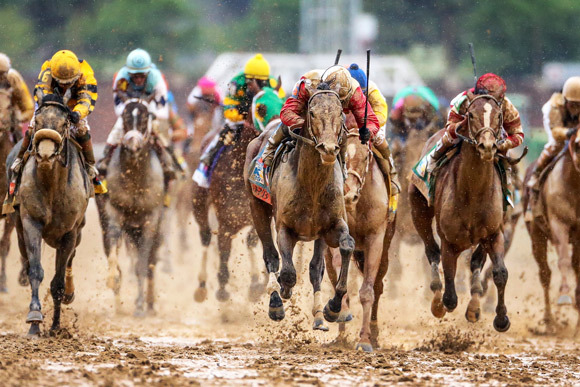 The first of what is considered the “Triple Crown” of horse races, the Kentucky Derby is also the shortest of the three races at just 1 ¼ miles…hence the most exciting two minutes! To win the coveted Triple Crown, a horse must win the Derby, the Preakness Stakes, and the Belmont Stakes in the same year. This is no easy task, with only 12 Triple Crown winners in the event’s long and storied history. Last year American Pharoah stole the show and America’s hearts by winning the first Triple Crown since Affirmed did so 1978. That’s nearly 40 years! It was exciting. It was historic. Country music trio Lady Antebellum is set to sing the National Anthem tomorrow at around 5 p.m. but the real singing highlight will be when 160,000 fans join the University of Louisville marching band to croon “My Old Kentucky Home” at around 6:30 p.m. during the horse parade, a tradition that started in 1921. Right after that, the horses run and another quest for the Triple Crown begins. Someday I will be there. I even have the hat for it. Someday. You can bet on it.